Let's take a step back - what is PropTech? Property Technology, simply put, is a term used to describe companies that are improving the real estate market by improving its processes. This includes offering new technology, for example using VR for house viewings, as well as renewing outdated business models, which covers improving the house hunting/ selling journey. 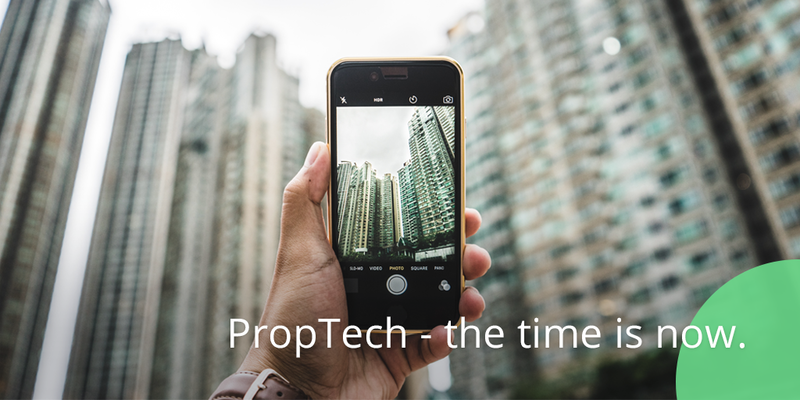 And that’s only the commercial side of things, PropTech isn’t limited to a specific sector within real estate, it stretches from commercial to construction, affecting every single player in the industry. These companies are basically doing the same thing to the real estate that Airbnb did in hospitality, Uber did to taxis and Monzo is doing to finance. Real estate just took a while to catch up. As with every tech revolution, there are new startups emerging constantly in the PropTech space, so here is a pick of our favourite propositions. A major pain point in the house hunting journey, particularly in fast-moving markets such as London, is house turnover. How many times have you called an agent or showed up at a viewing only to find that the property is already off the market? London start-up Movebubble has come up with a property management app that gets updated in real time, with customers’ most scarce resource- time, at the heart of their solution. Other companies are trying to remove the middleman from the equation, many people find dealing with estate agencies stressful and costly. Companies like Settled are connecting buyers directly with sellers, essentially trying to make buying and selling houses as easy as it is to rent one on Airbnb. And beyond improving the buyer/seller touchpoints, numerous start-ups are working on improving the search process. Companies like Zipmatch are designing VR technology that enables people to have a 360° look of the house before even stepping foot in it. On a slightly different proposition, Snaptrude gives people the ability to view a 3D model of the house based on the floor plan. The software can also estimate the cost of the house based on that 3D model. Cool huh? This is only a small snapshot of the myriad of innovative, crazy, useful ways in which PropTech companies are changing the real estate market. PropTech is transforming the market to be more transparent, helping different parties find each other and AI plays a large role in this. AI helps streamline data and automation processes, both a huge part of most, if not all, PropTech initiatives. AI is also contributing to speeding up transactions and making them more accessible. AI is also being used to understand an individual’s wants based on their online behaviour. As customers increasingly expect their online experience to be tailored to suit their needs, mastering this can be invaluable to companies. PropTech companies can use AI to alter the content presented to each person scrolling through their website, and therefore only show properties that match that person’s wants and needs. No more endless hours of scrolling to find apartments that suit your search. Alternatively, AI can put a customer in touch with a real estate agent at the specific moment they require help via online chat. Receiving information from the right person can convert an undecided customer. It really is that simple. To be honest, we are surprised this didn’t happen sooner. Real estate needed an overhaul, large corporations in the industry became complacent and didn’t feel the need to invest or keep up to date with new technology. The industry remained profitable at the expense of customers’ time and effort. However, things have changed, the modern consumer is demanding, impatient and they crave efficiency and speed. In a world where they can have any product delivered in under 24h, exchange currency on their phones and ask a bot to Google anything in seconds, why would they settle for any less when making one of the most important purchases of their lives? If traditional real estate companies don’t follow the trends PropTech is starting, they risk losing any competitive advantage they currently have to companies that provide a more effective and personalised service. Existing companies must welcome and embrace these changes in order to survive. Backed by huge investment, PropTech has the potential to completely overtake the market. Incumbents are more than capable of catching up and adopt tech features relatively easily, so why not do it now?